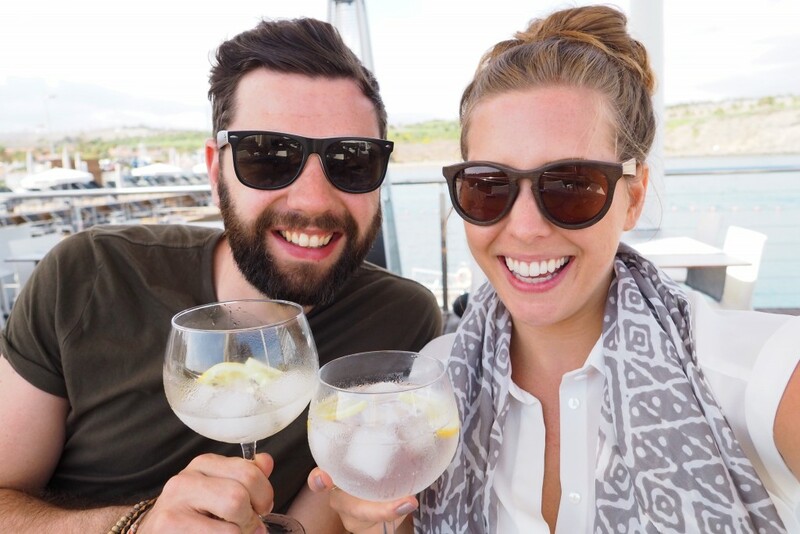 A couple of weeks ago Joe and I jetted off for 5 days in Gran Canaria to test out some of the best spa hotels on the island – what a trip! 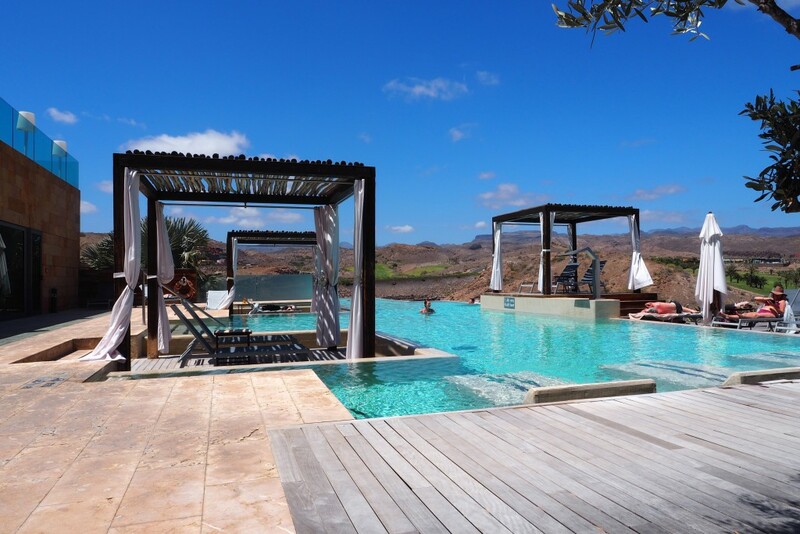 So if you’re planning a sunny holiday this year then this one’s for you, get ready for some serious relaxation, beautiful backdrops and sensual treatments in the sun…you might want to get that suitcase ready! 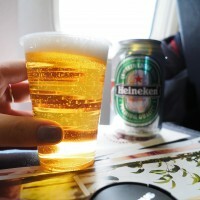 I started my pampering early with a gel mani/pedi at Cloud Spa in Birmingham airport! 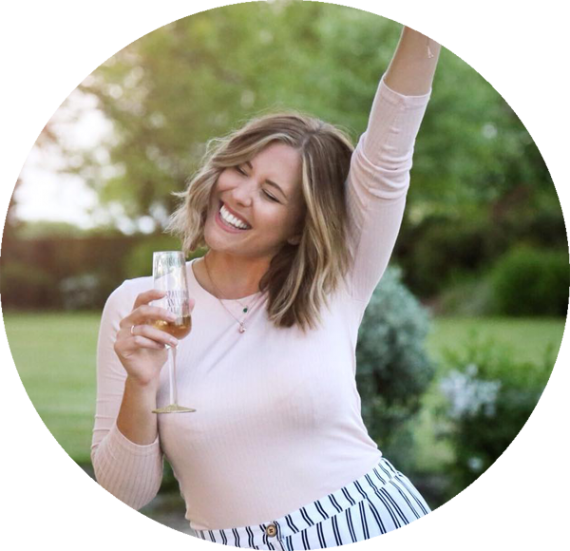 These guys are great and can have your nails looking holiday ready in as little as 15 minutes with spas in Birmingham, Manchester, East Mids and Stansted – grab £5 off with the code BLOG16! 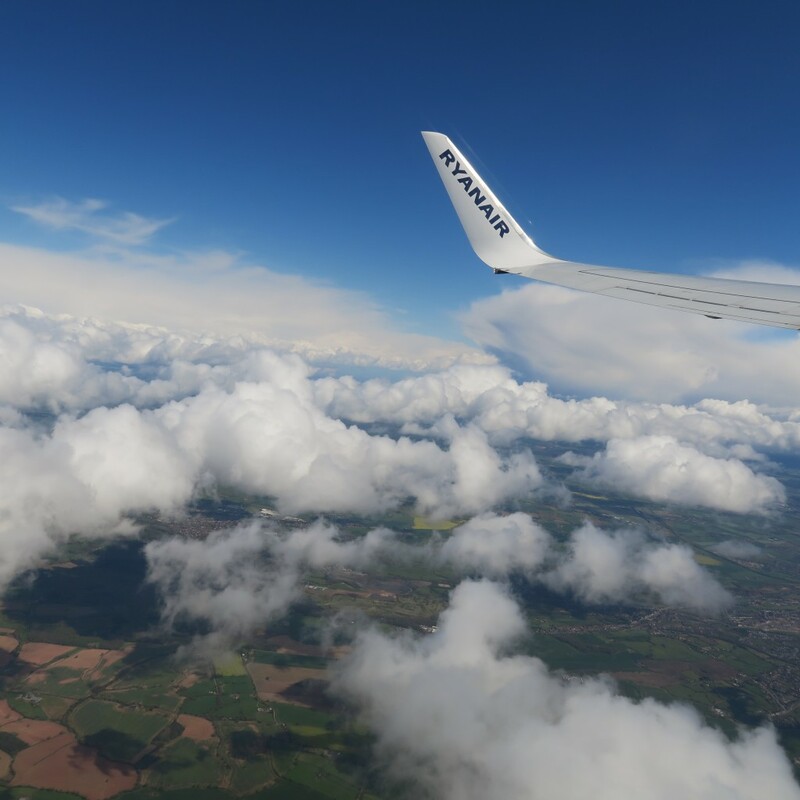 Really loved this experience and I’ll definitely be heading over there before my next holiday – my nails are still going strong two weeks later too! 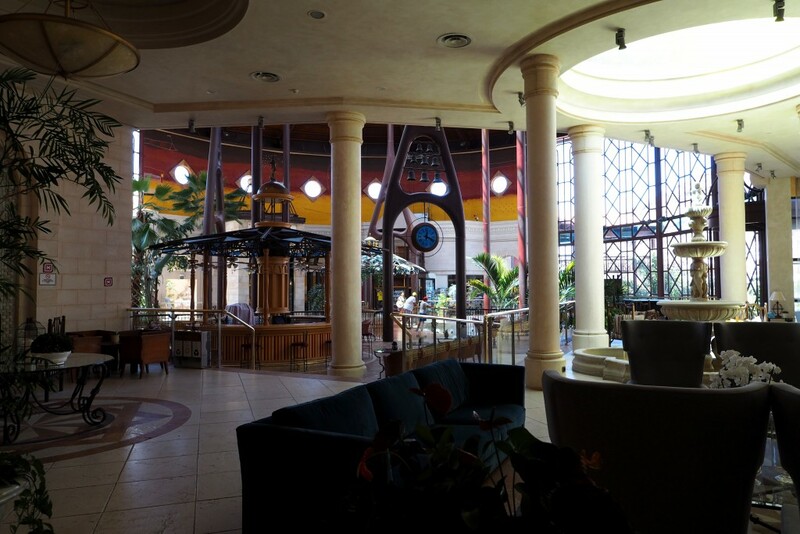 Our hotel – The Gloria Palace Royal, about 30 minutes from the airport with our amazing drivers from Dolar Rent a Car, highly recommended if you’re looking for transfers or car rental on the island as they were incredibly friendly and always on time. 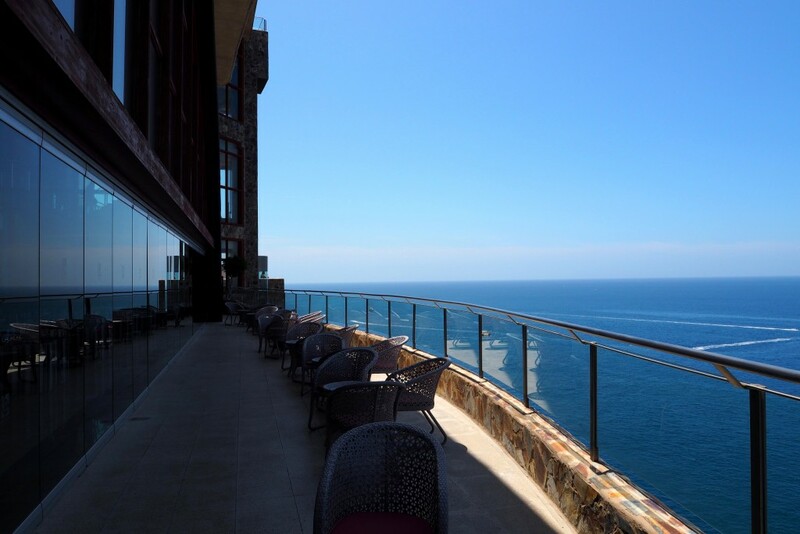 We pulled up to our hotel and checked into our room before heading down to the gorgeous infinity pool for a sangria! 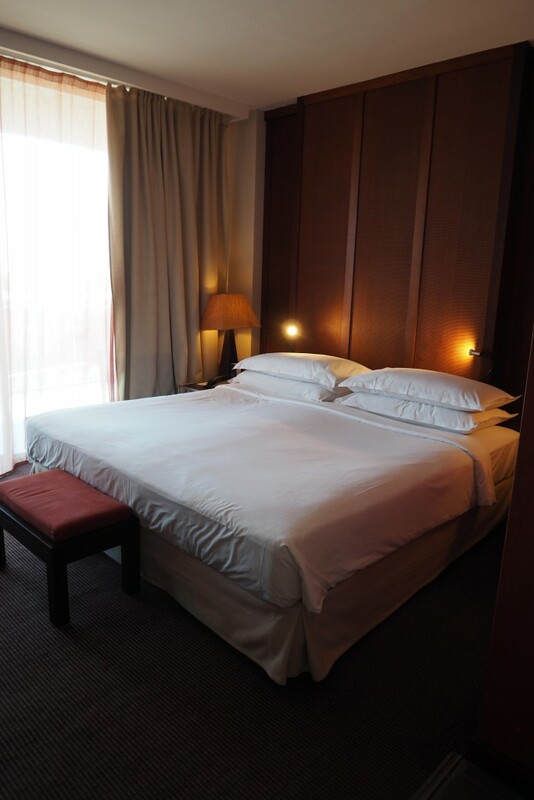 The rooms were huge with a nice bathroom, lots of wardobe space, tv, minibar and lovely balcony. The beds weren’t the most comfortable we’ve ever slept on and the rooms were a little noisy but the views were incredible, food was great quality and the staff were always friendly! 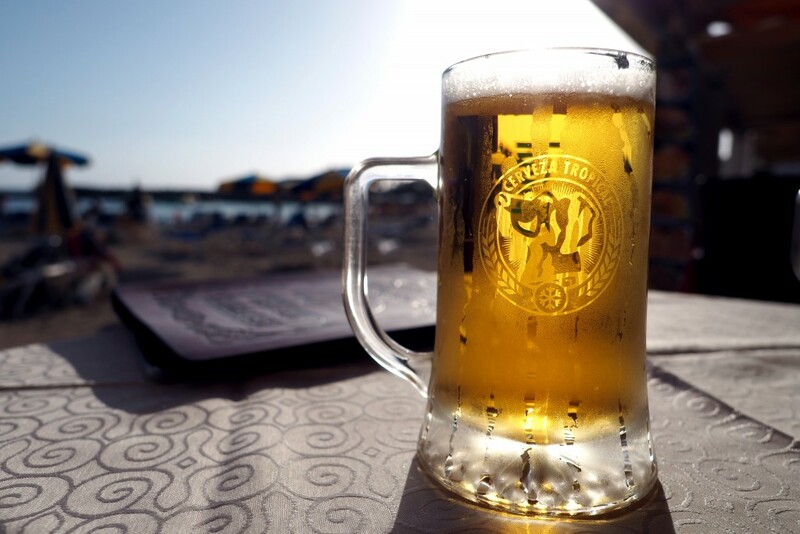 With a 5 minute walk to the beach and the uber cool Amadores Beach Club there’s something for everyone and you can shape your holiday however you like with this one. 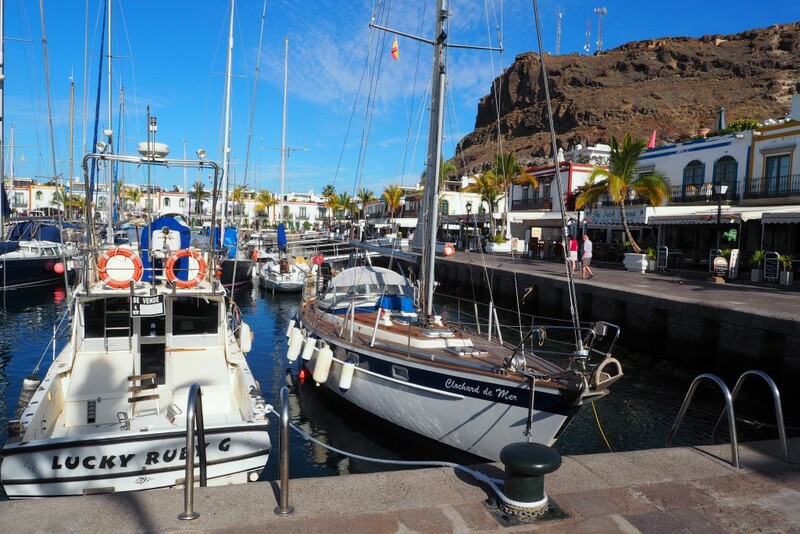 On our first morning we took a trip to Puerto De Mogan as it was only a 15minute drive from our hotel. If your hotel offers a bus or ferry here then 100% go – it’s so beautiful, like a little Venice. 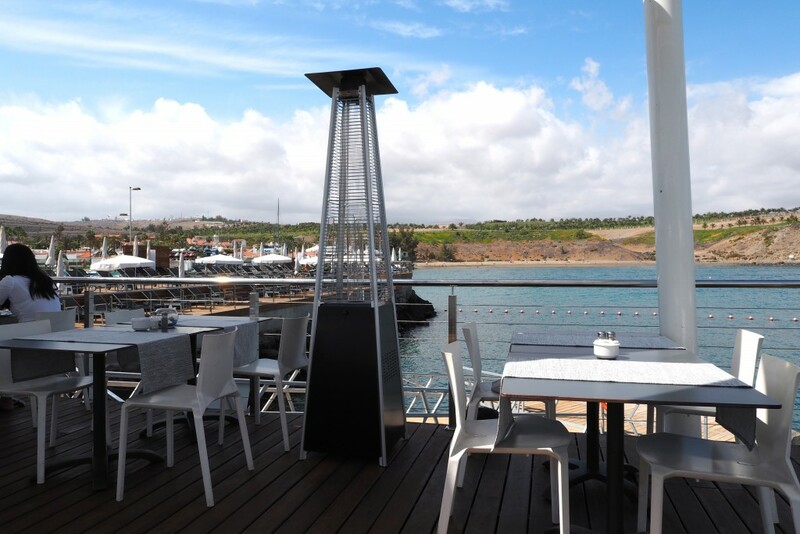 We took a stroll through the streets as the shops were just opening up, I would have loved more time here to enjoy a coffee overlooking the port so much so I’d consider booking my next holiday near here just so we could. 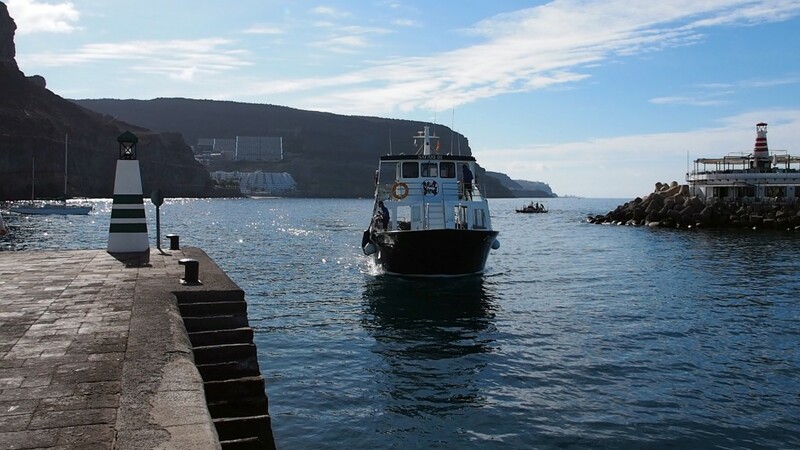 We hopped on the Lineas Blue Bird for a ferry ride to Anfi Del Mar and it was lovely! What a great way to spend an hour catching a few rays on the top deck and watching the coastline drift by. 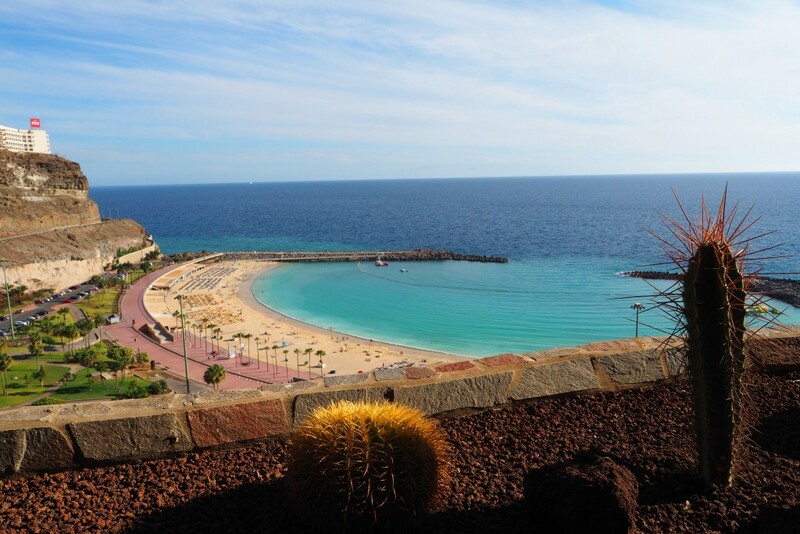 They leave quite regularly for around 10 euros per person and would make for a great day trip to one of the other beaches. 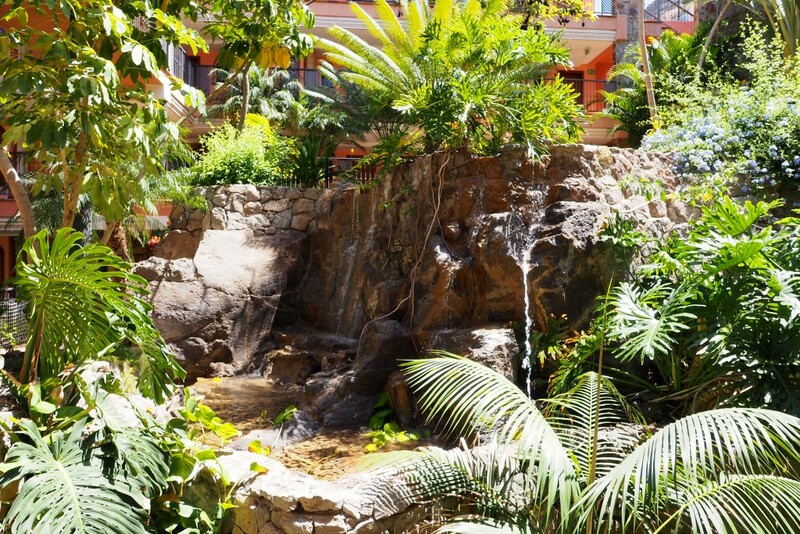 In the afternoon we visited the Sheraton Golf & Spa Resort for our first spa experience on the island. 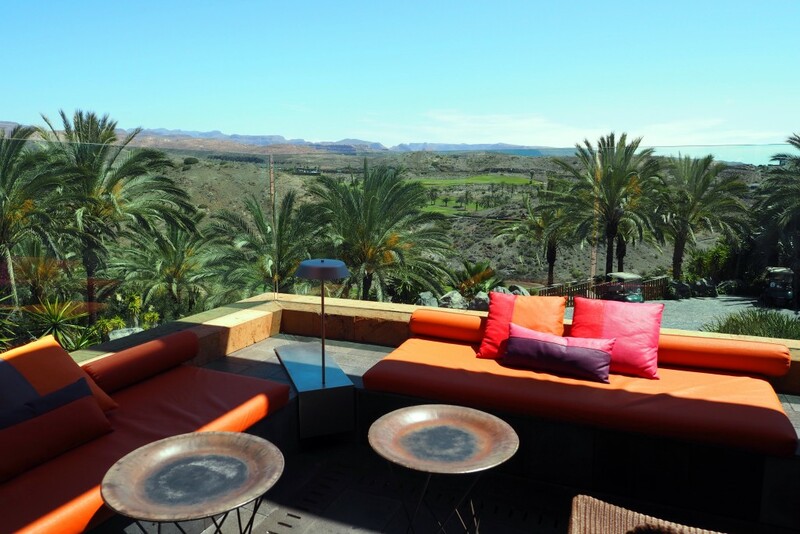 What a stunning hotel this is, set up in the mountains of Maspalomas and surrounded by beautifully green golf courses. 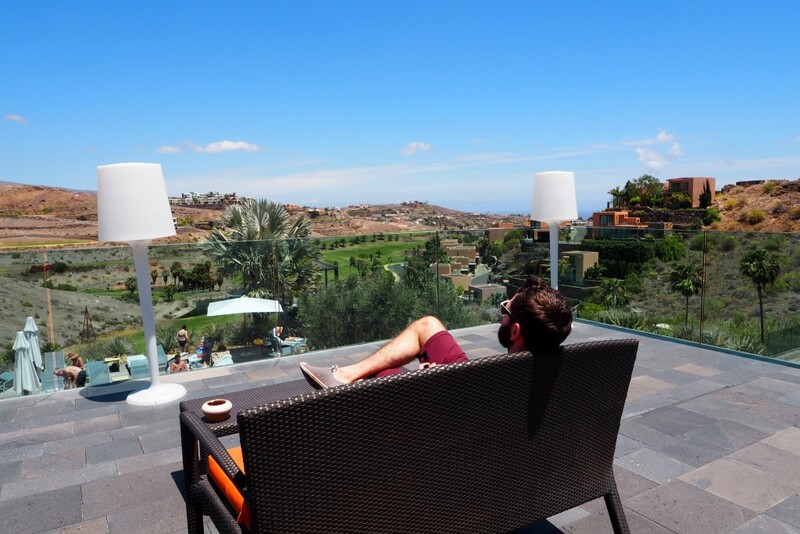 With amazing views, secret pools, super modern and plush bedrooms and a wonderfully calm atmosphere this resort was right up our street – Joe even started googling prices for our holiday in June! 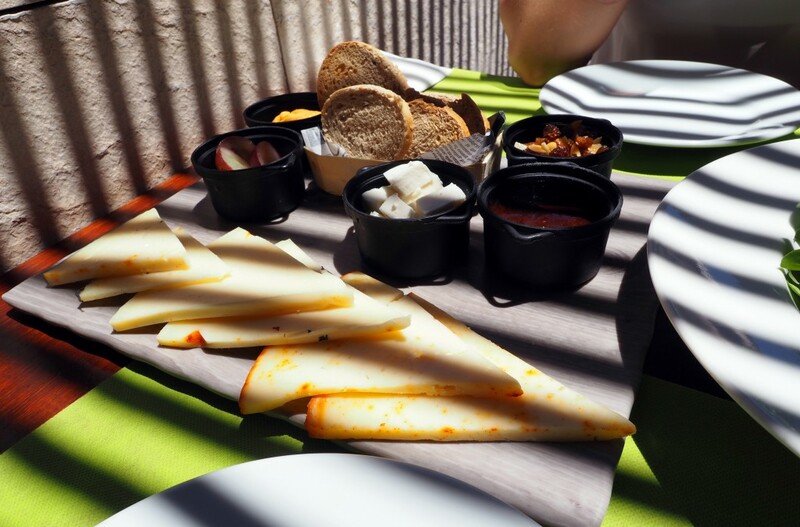 We enjoyed lunch in the hotel with some tasty paella and Canarian cheeses and salads – good food with mains for around 10 euros a plate – before hitting the spa. 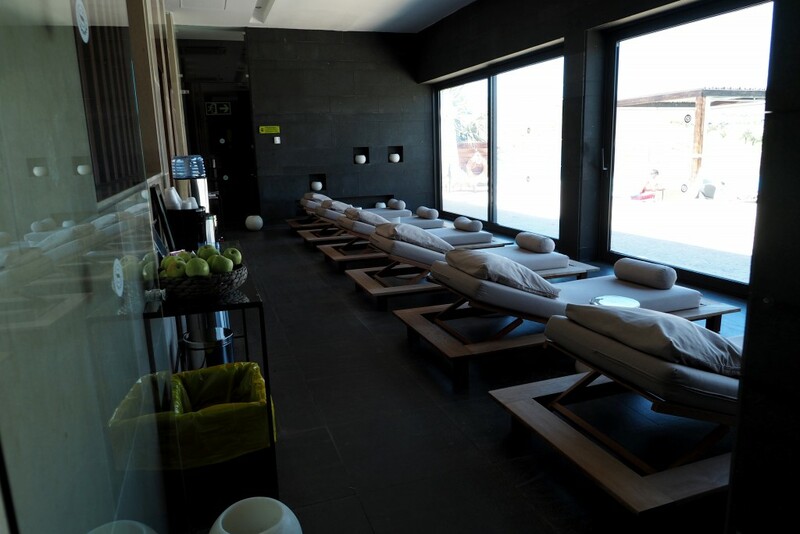 The spa was great with a tranquil infinity pool on the decking outside and saunas and treatment rooms inside. 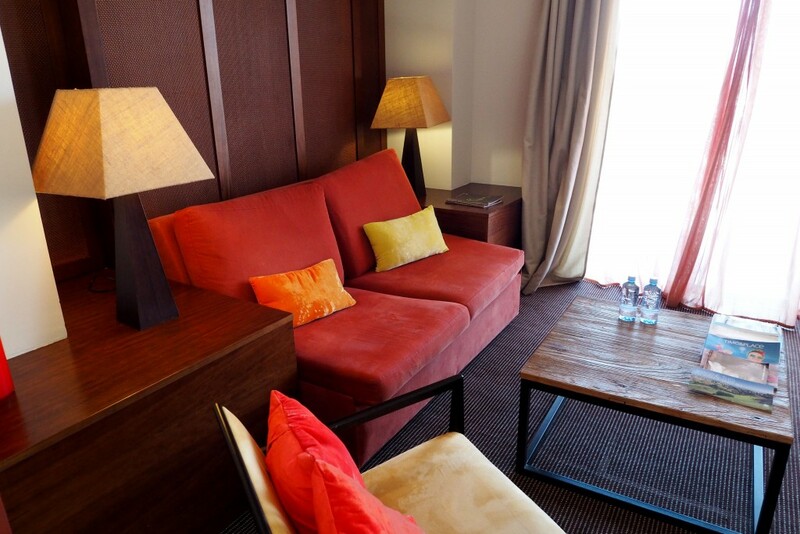 It’s small but relaxing and of a great standard – we loved those cabanas in the pool! 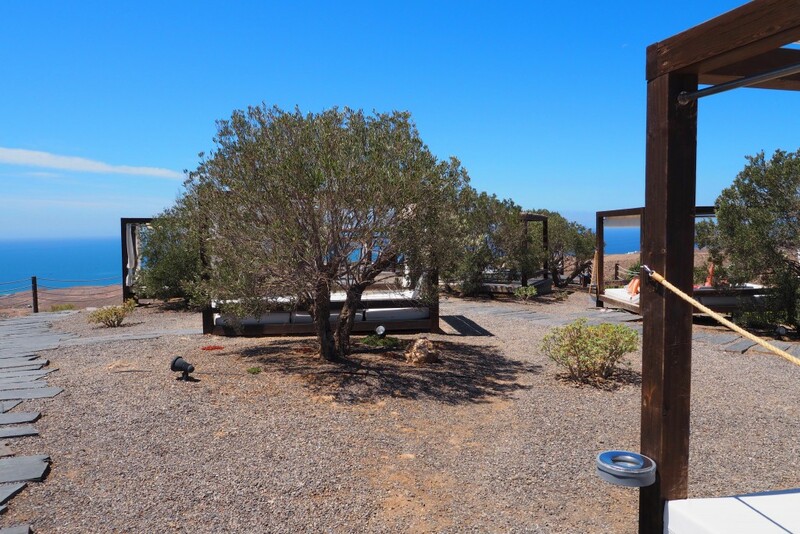 We spent our afternoon sunning by the olive trees enjoying the fresh fruit and teas from the relaxation room in the spa. 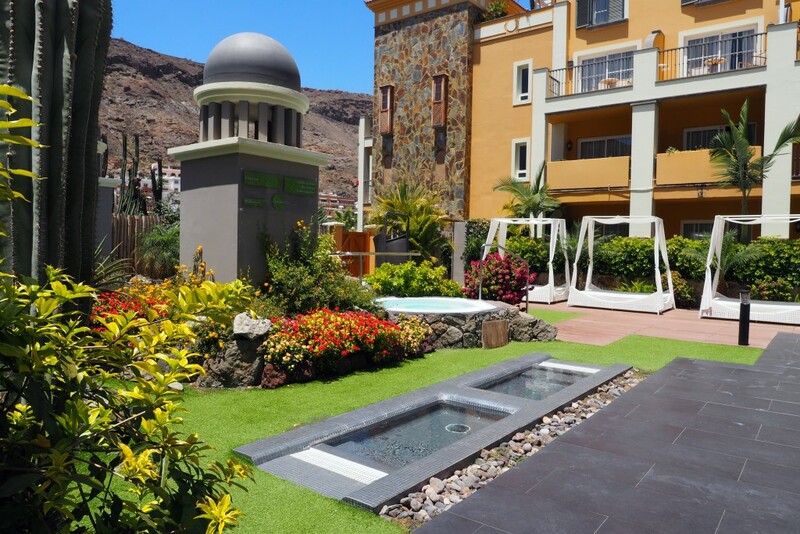 The Sheraton was so peaceful and just the sort of hotel Joe and I are used to booking – we’d come back here without hesitation and I even might try my hand at golf again as they offer zero/reduced green fees in the summer months! 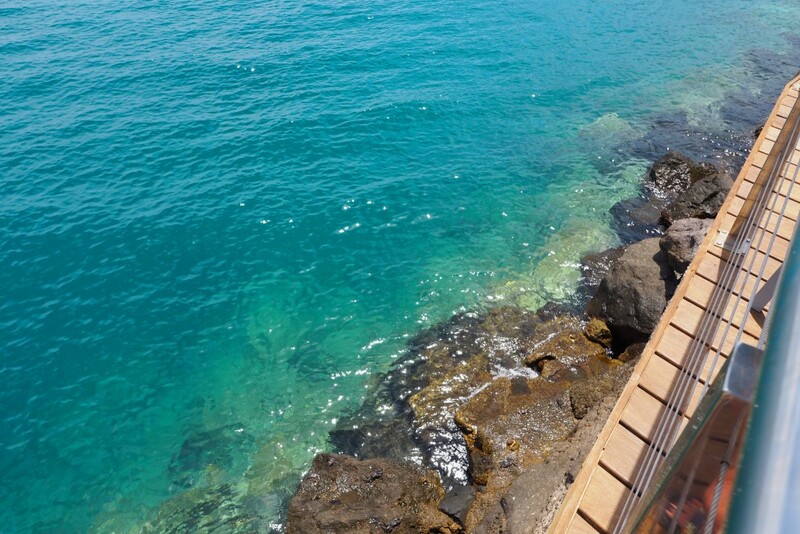 Pure relaxation and great for couples who want to get away from it all. 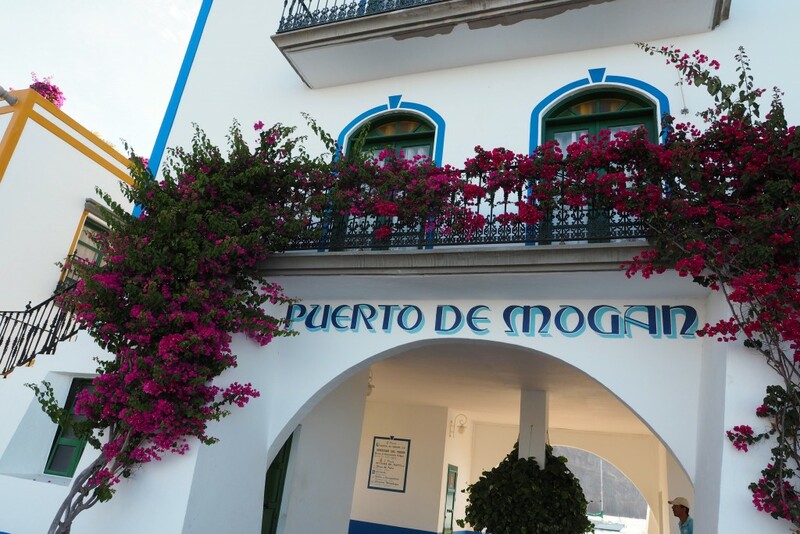 Next up is the Cordial Mogan Playa close by to Puerto De Mogan and in the most unassuming location! 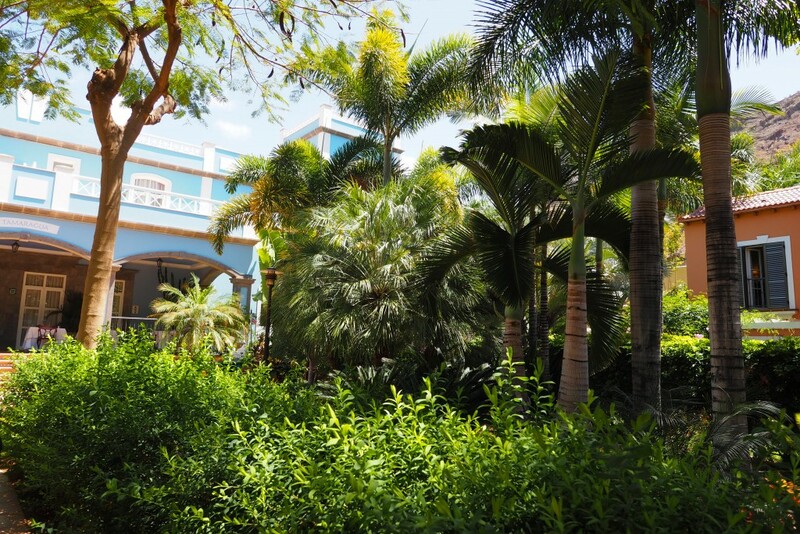 With a supermarket out front and villas surrounding the resort you wouldn’t believe what’s inside when you step through the doors. A jungle in the middle of the rocky mountains, it’s beautiful! With botanical plants, waterfalls, villa-like room blocks and even it’s own little chapel, it was pretty amazing. 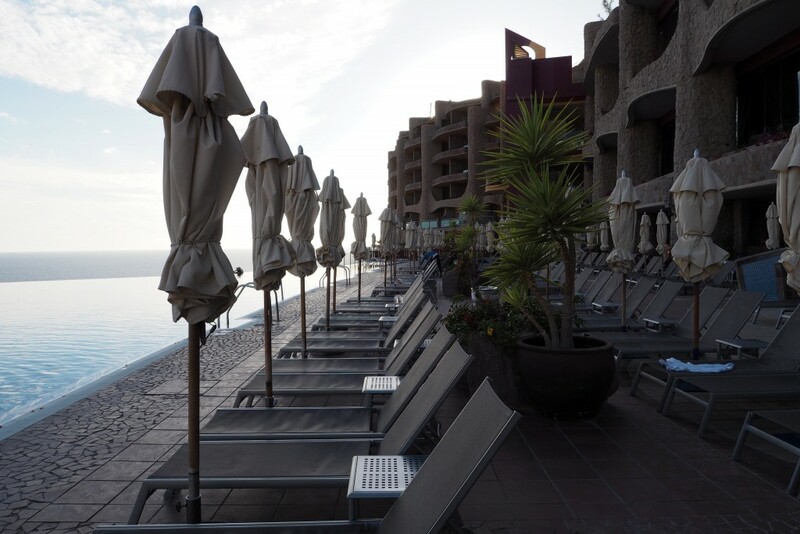 There were traditional Spanish decorated rooms and some brightly coloured parasols around the pool compared to the modern décor of the Sheraton but again it was so peaceful and beautiful to look at. 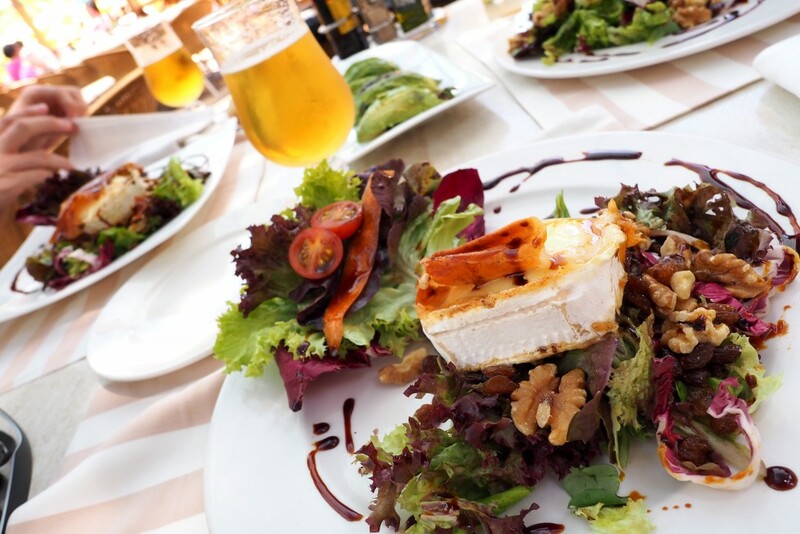 We had a delicious lunch by the pool with one of the best goat’s cheese salads I’ve had in a while before making our way over to their spa for the rest of the afternoon! Wow oh wow was this spa beautiful. Like a little Japanese garden and looking brand new! 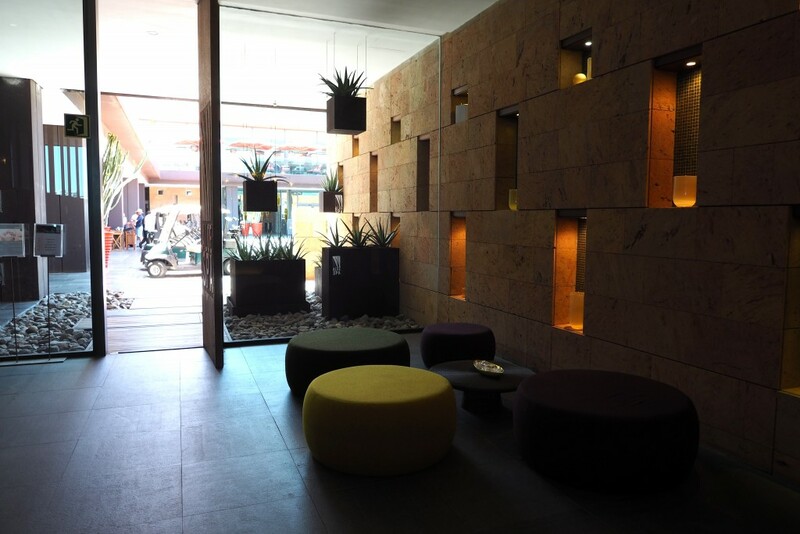 A courtyard outside with super comfy sunbeds, jacuzzi and floatation pool and state of the art pools, fire and ice showers, saunas and steam rooms inside. Loved loved loved this spa and the greenery would make me want to visit this hotel again for longer, it was so peaceful. I’d recommend the Cordial Mogan Playa for couples or families looking for a quiet and laid back break. 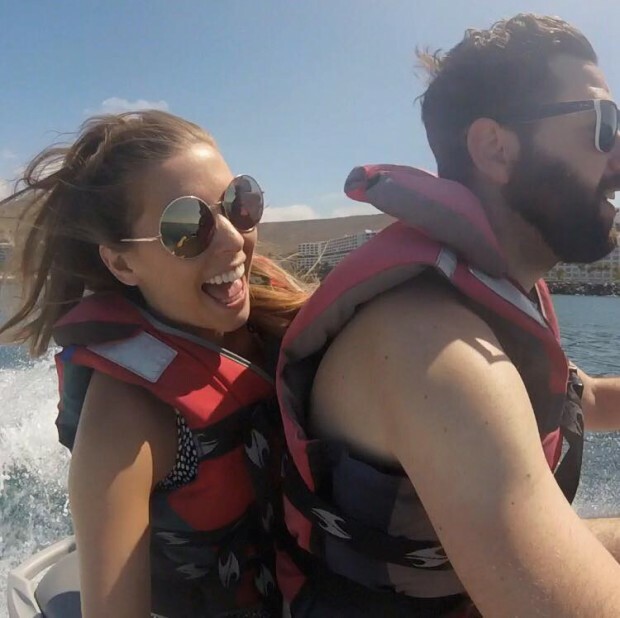 On our third day we took a break from relaxing and tried our hands at water sports instead with a jet ski ride in Anfi Del Mar! 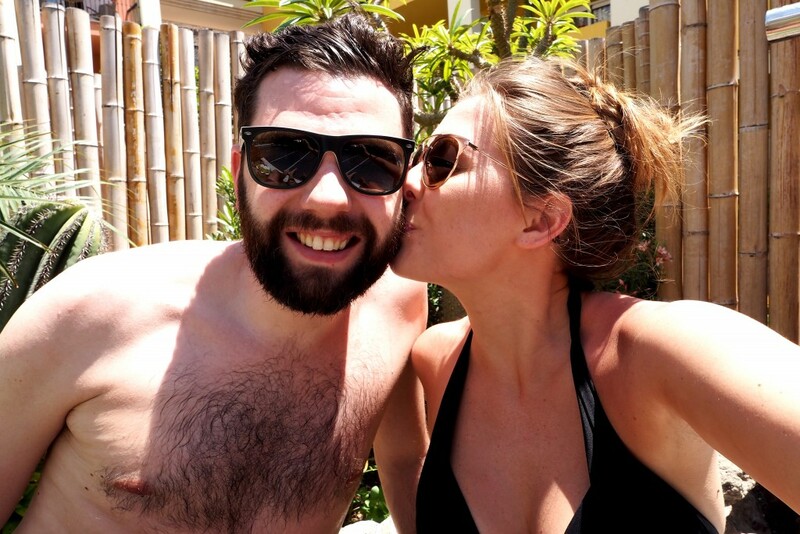 You’re probably going to want to watch the vlog (see below!) for this one, what a rush! It was great fun even though both Joe and I were terrified at first! We put on our life vests, got the GoPro ready (Hero +LCD for those wondering) and hit the water. It was so much fun and even though it’s not something I would have chosen to do it’s something I’d 100% do again! 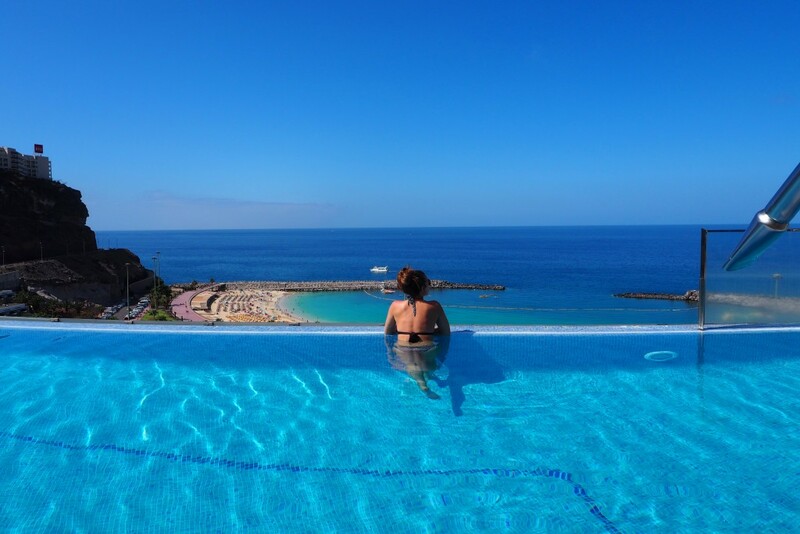 After our adrenaline filled morning we headed over to our final hotel another Gloria resort the Gloria Palace Amadores. This place was pretty impressive as it felt like you were on a cruise ship with floor to ceiling windows looking out over the sea, no land in sight! 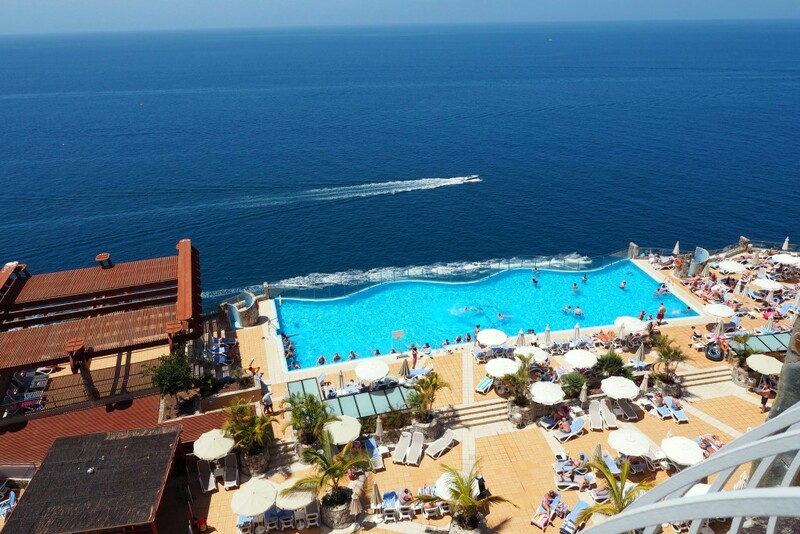 This was the most like your usual all inclusive style resort with big pools, lots of rooms and plenty for everyone. Quite family focused and lots for the adults to do as well with a jam packed animation timetable. The rooms all boast sea views and looked like they had pretty comfy beds too with what felt like memory foam mattresses – I had a little feel! 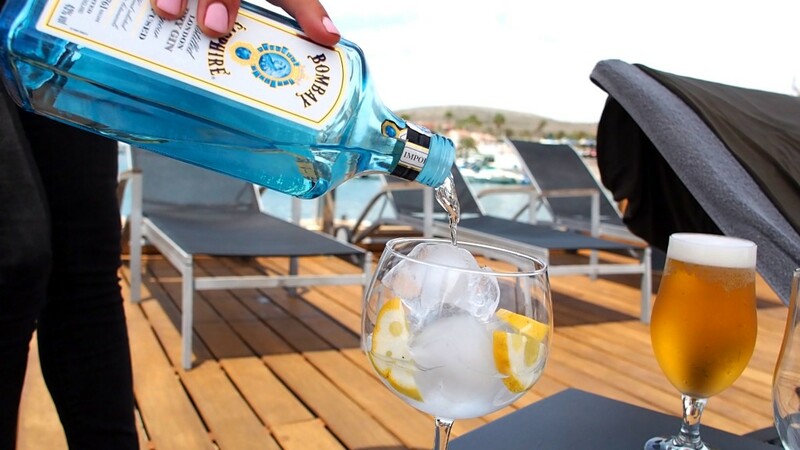 We sat down to some delicious food at lunch with Bombay G&T’s in the glorious Gran Canaria sunshine. On a side note the weather really was incredible for our entire stay and stays pretty constant all year round getting quite hot in the summer months. 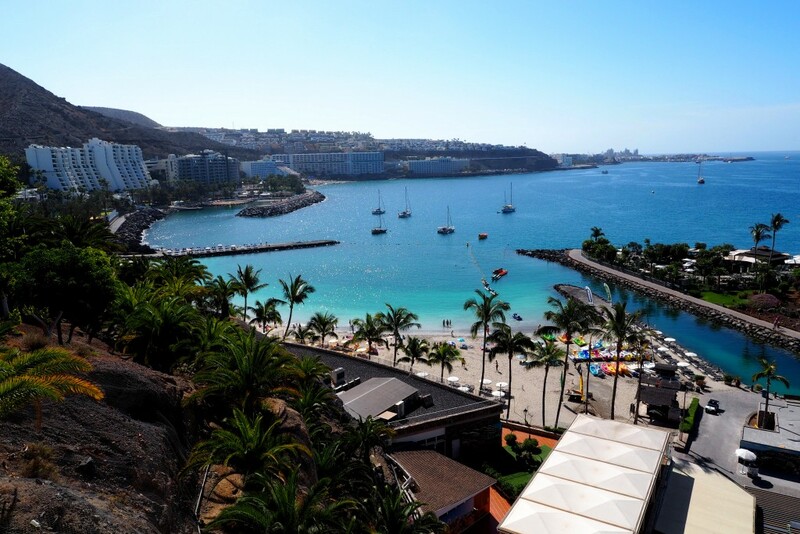 Again we’ve added Gran Canaria to our list for our next holiday, it was great for tanning and a serious dose of vitamin D! 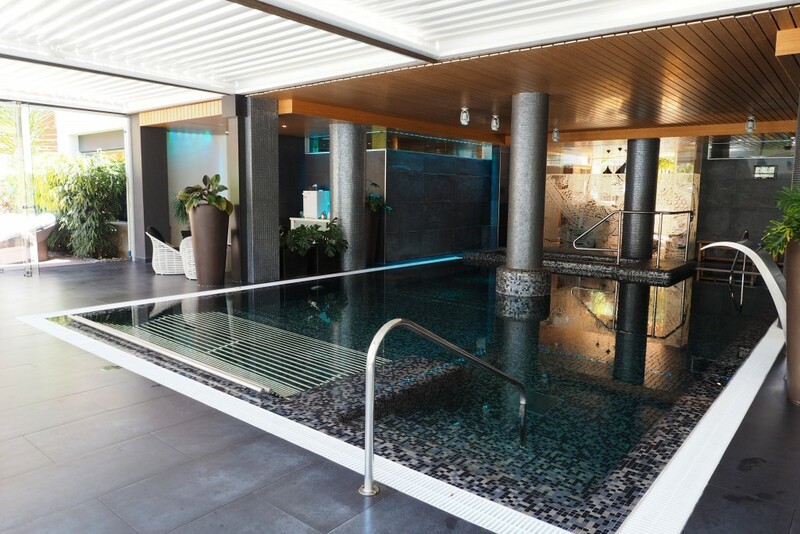 After lunch we hit the spa with it’s ‘Get In Shape’ pool circuit – a new one on me. More water jets than you can shake a stick at and pure seawater along with saunas and steam rooms upstairs. You do have to wear a silly dinner lady hat when you go in the water which put me off a little and there was only a small terrace for sunbathing in-between dips in the pool which seemed like a shame to be inside when the weather was so great! Whilst there we were treated to a full body scrub and massage in the spa treatment rooms. The body scrub was a strange one as we were rubbed all over with a seaweed salt before being wrapped up in plastic and left for 20 minutes! It was a little claustrophobic and felt quite strange but once rinsed off my skin felt amazing! I’ll be honest, the massage wasn’t the best I’ve ever had and no oils (instead a body cream) which was strange. 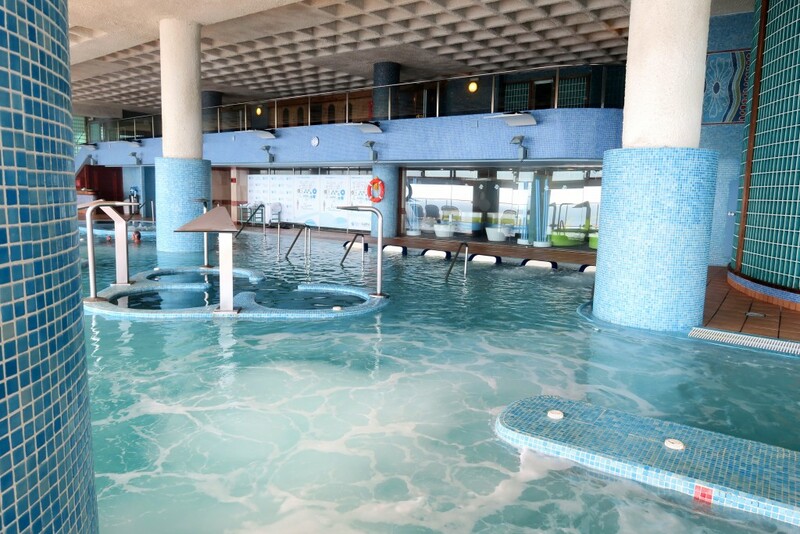 The rooms were quite noisy and the spa in general felt more like a public swimming baths than a spa haven…sorry guys! 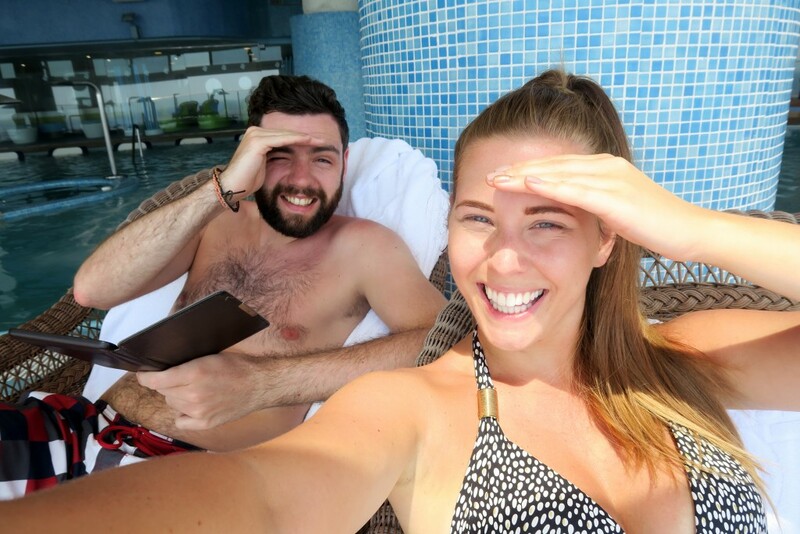 I’d say the Gloria Palace is more a family break compared to the others we visited and I’d recommend their spa if you’re after a day out the sun and enjoy relaxing in bubbly water! 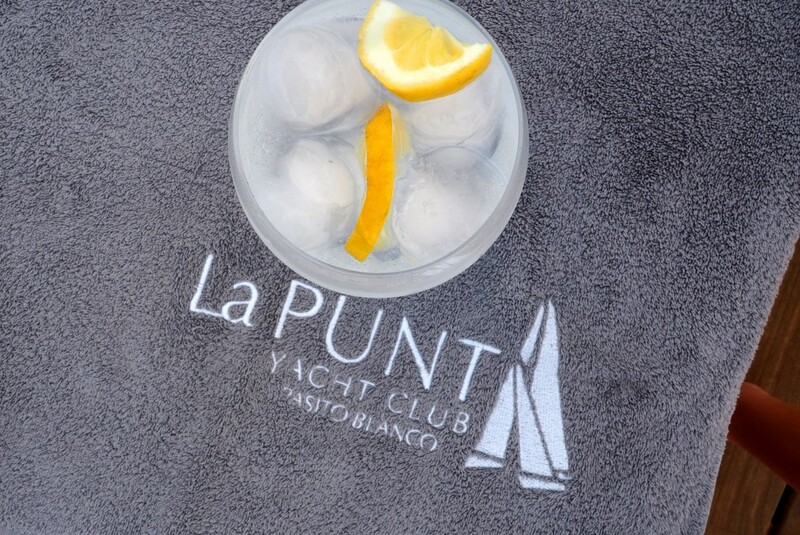 On our final day we had a bit of a treat with an afternoon at La Punta Yacht Club which was seriously cool. 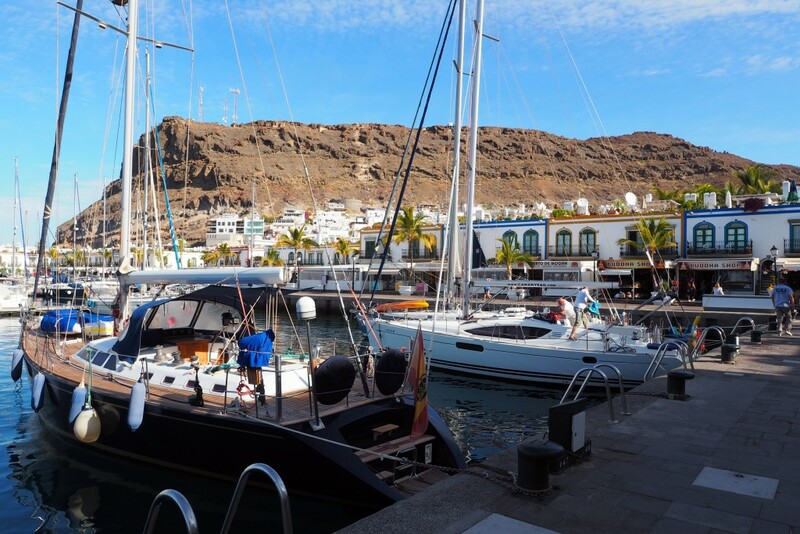 I’m not sure if you can visit here without your own yacht – and that could be an expensive holiday! 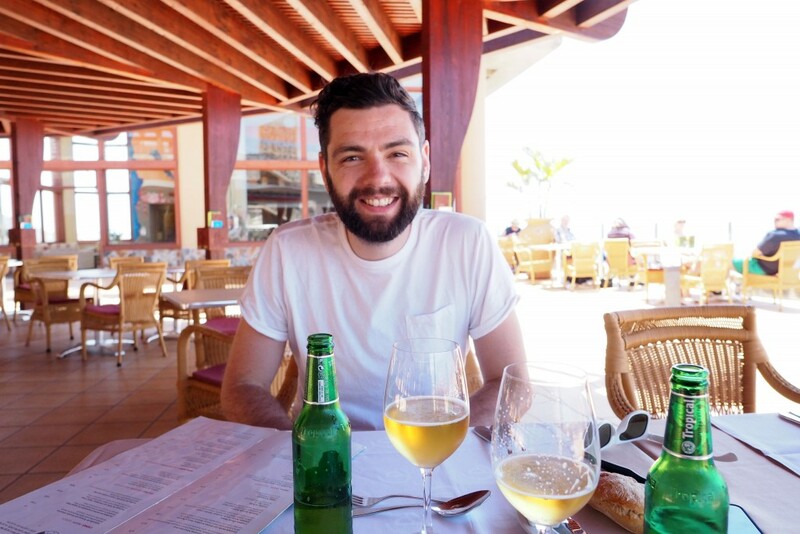 – but we enjoyed a few hours in the sun with a G&T looking out over the sea and tucking into some pretty darn good burgers before heading back to the airport for our plane home. 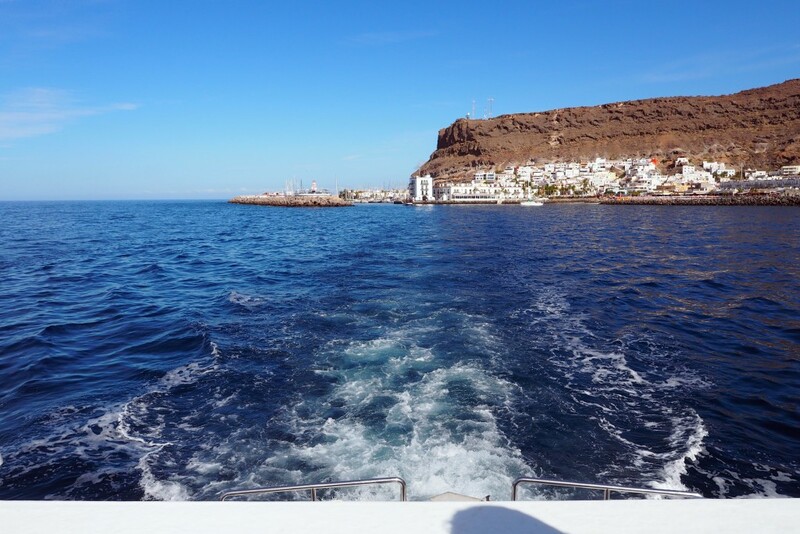 We absolutely loved our little adventure to Gran Canaria, it was great to see the different styles of hotels this relaxing island has to offer to help you guys (and us!) 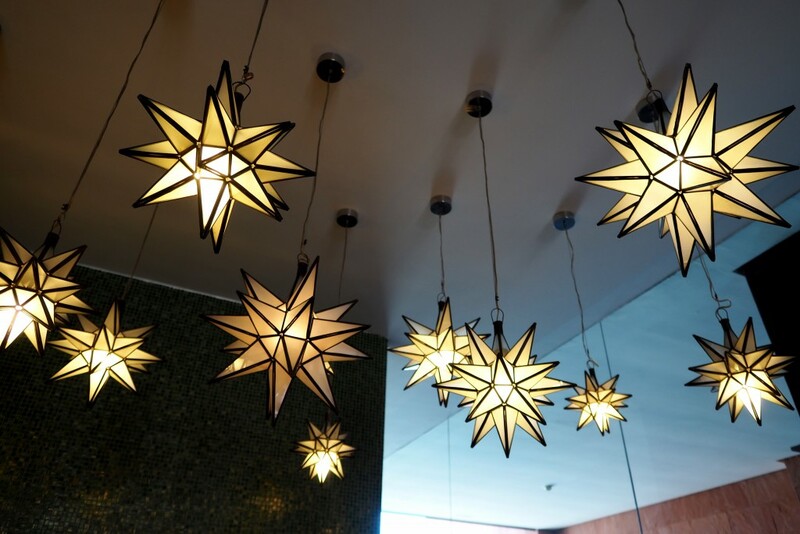 find the perfect place to stay. 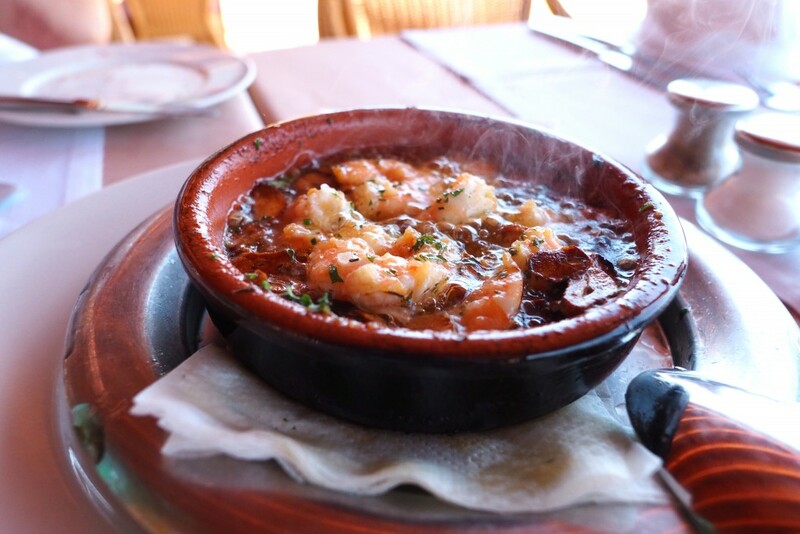 We loved the Sheraton for it’s ultra chic interiors and peaceful pool sides but we also really enjoyed our time in the Cordial for it’s greenery, food and spa. 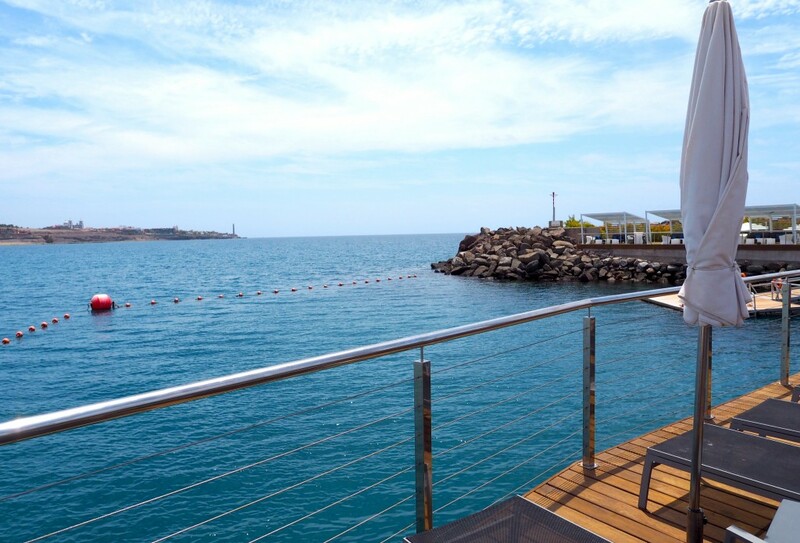 Thank you to Gran Canaria Wellness for sending us on this wonderfully relaxing trip! 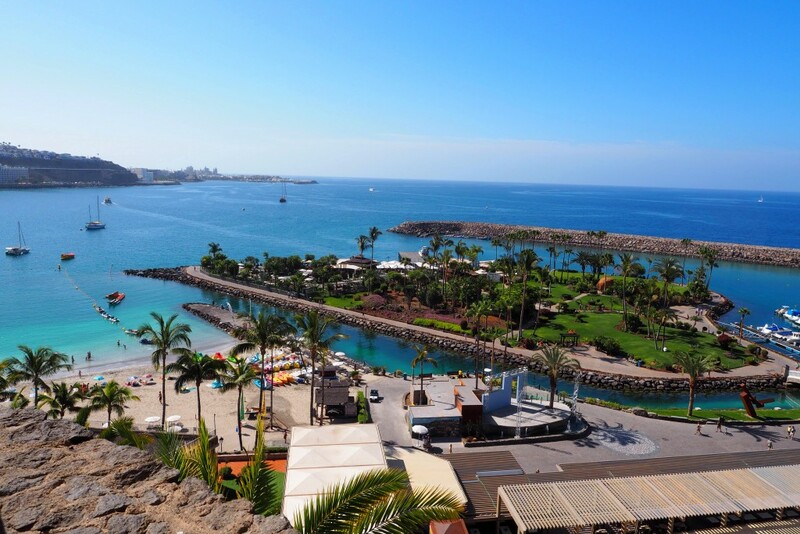 You can find out more about the hotels and packages they offer on their website HERE – I hope this has helped inspire you for your next sunny break away, we’d come back to Gran Canaria in a heartbeat! 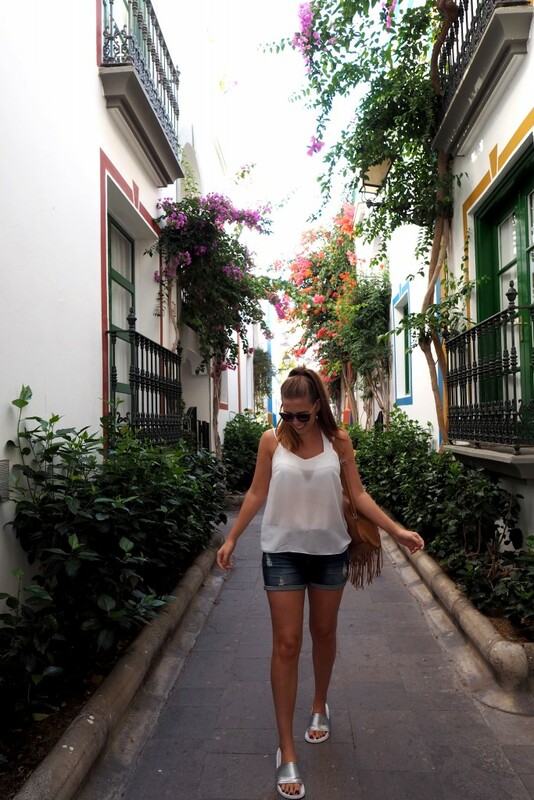 Don’t forget to follow me on Bloglovin’ and subscribe on Youtube so you don’t miss our next trip!